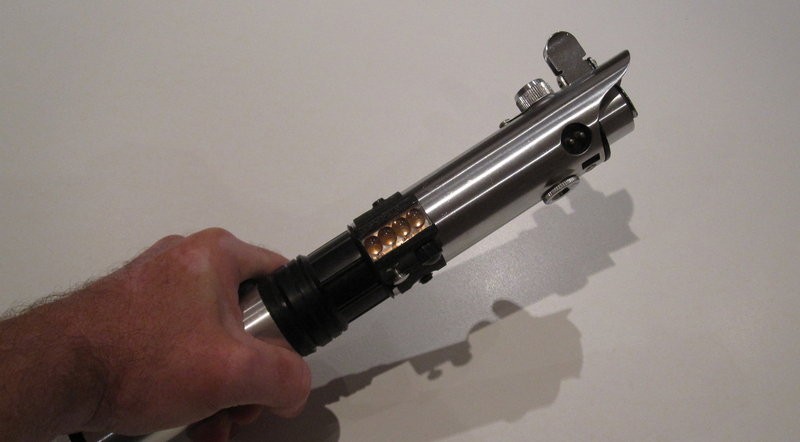 Here’s my most authentic-looking lightsaber yet. I found the top half at a camera flea market, and I recognized it right away as the kind of flash gun used to make Luke Skywalker’s lightsaber in 1977. I added parts I had lying around and voila.